Fusion Windows Beats Any Price on Ply Gem Windows & Doors! Ply Gem manufactures quality windows for any taste. Wood, vinyl, aluminum and fiberglass in a variety of series. They are an innovator in manufacturing techniques, including glass, energy efficiency, warranty, and components. All products face rigorous testing to ensure the best results. Narrow sight lines maximize the view. Rigidity and durability make these a strong investment, because they are bound to last for a long time. Milgard vinyl windows are inexpensive and energy efficient. They minimize thermal transfer, making it easier to regulate your home temperature. Get increased strength and resistance from fiberglass windows, which are designed to be nearly indistinguishable from regular glass windows. Architectural Considerations play a big part in choosing an entry, back, French or patio door. Ply Gem builds quality doors to satisfy any design. Wood, vinyl, aluminum and fiberglass in a variety of installation options mean that we will find the perfect match for installation. 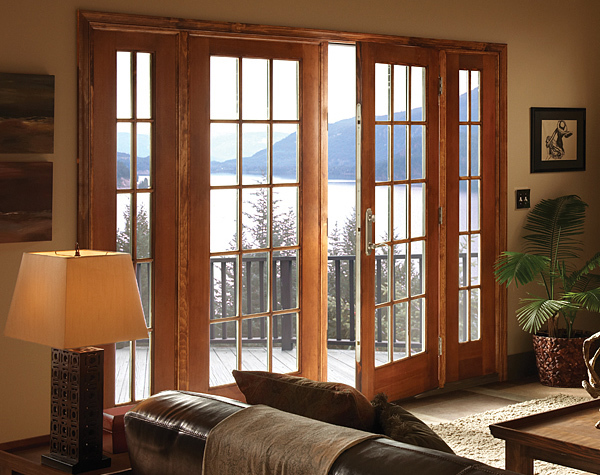 WoodClad™ doors combine the durability of fiberglass with the beauty of Douglas fir. Ask about the styles and shapes that come standard. Want marvelous French doors that greet your guests upon entry? Essence™ Wood doors are beautiful on the inside and tough on the outside. Thick frames provide a traditional look for Los Angeles vinyl replacement windows. Featuring Low-E insulated glass, these sliding patio doors are amazing.